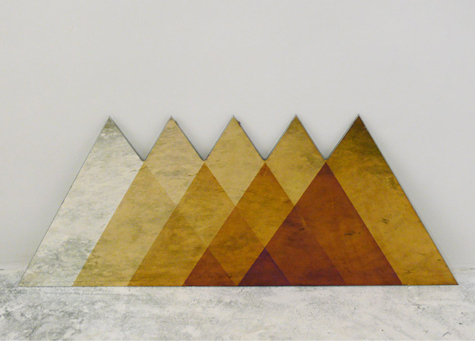 Transcience shows the beauty of the natural oxidizing process of mirrors. By accelerating and manipulating this process, the mirrors show various stages of oxidation in three different geometrical patterns. A lengthy process usually regarded as degradation shows the beauty of this material transition of silver. ByDavid Derksen and Lex Pott.